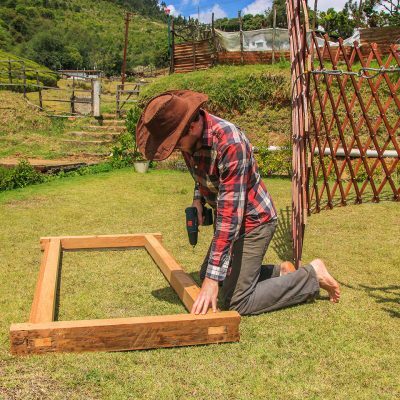 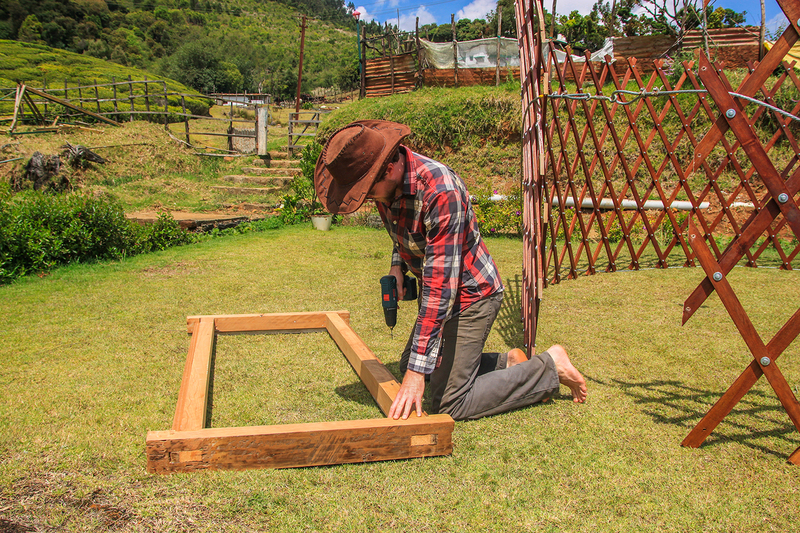 Join Nathan, our resident carpentry and woodworking expert, and learn how to make a yurt. 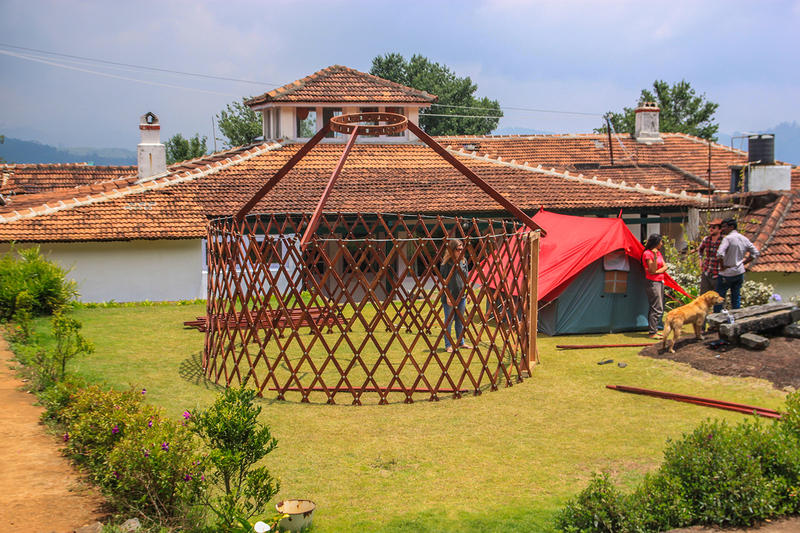 Originally the traditional home of the Mongolian nomads, yurts are now the go to choice for portable semi-permanent housing. 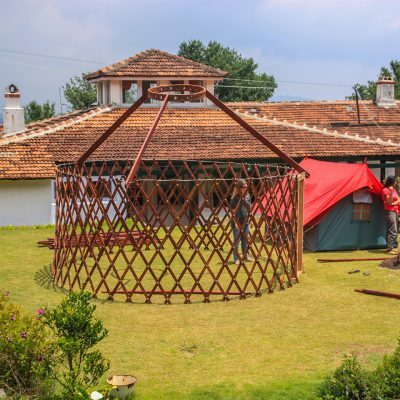 Yurts have made an appearance at festivals like Burning Man and Coachella, at high-end luxury camps in national parks around the world – and in suburban backyards as well. 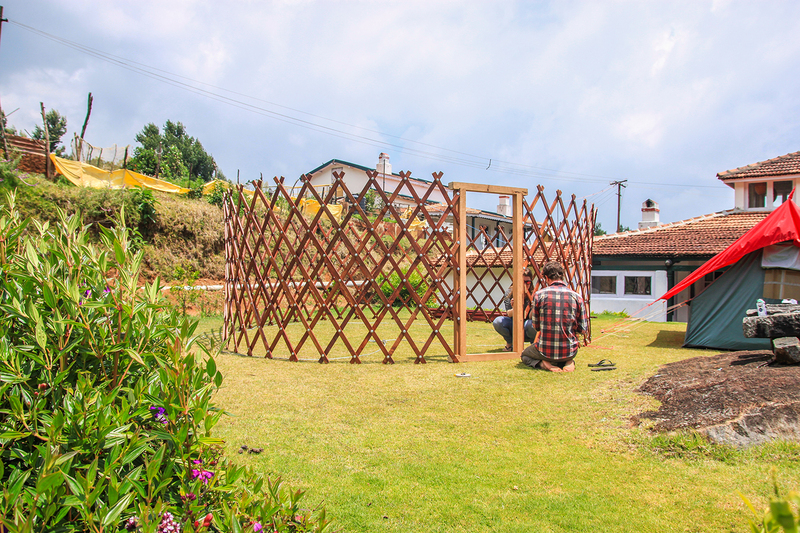 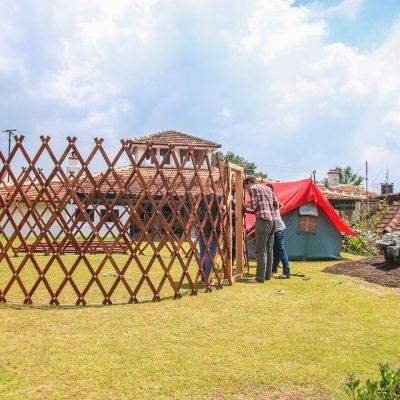 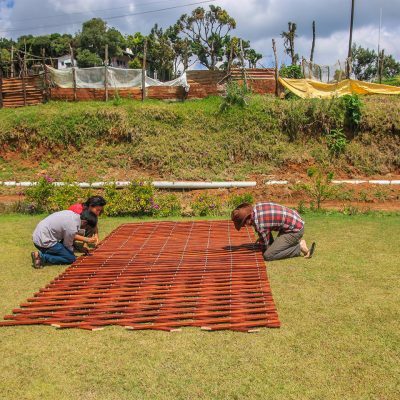 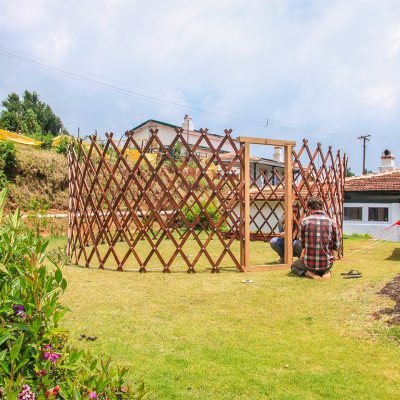 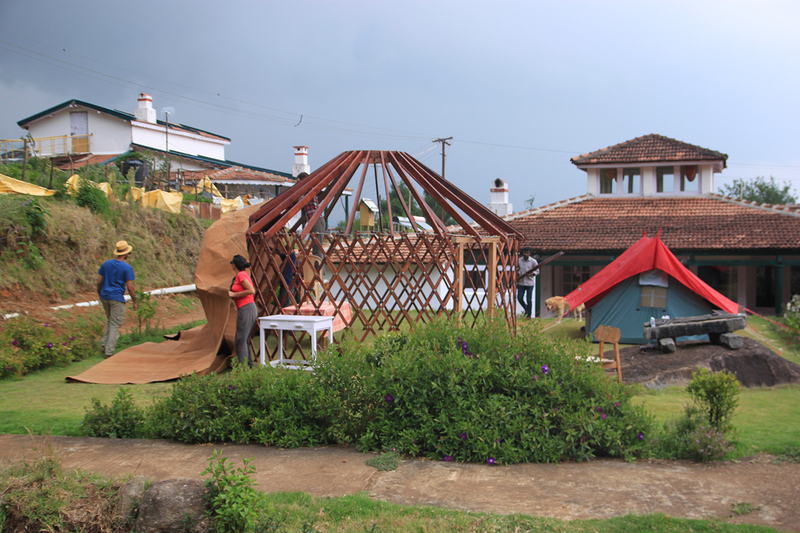 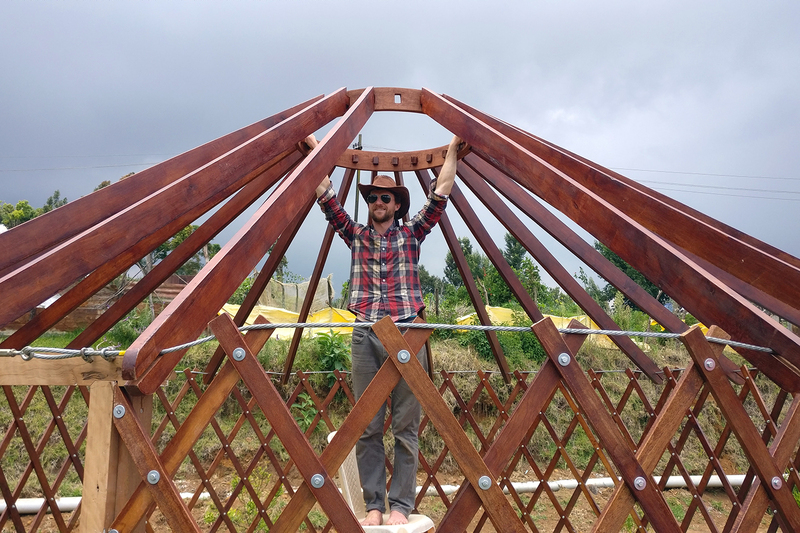 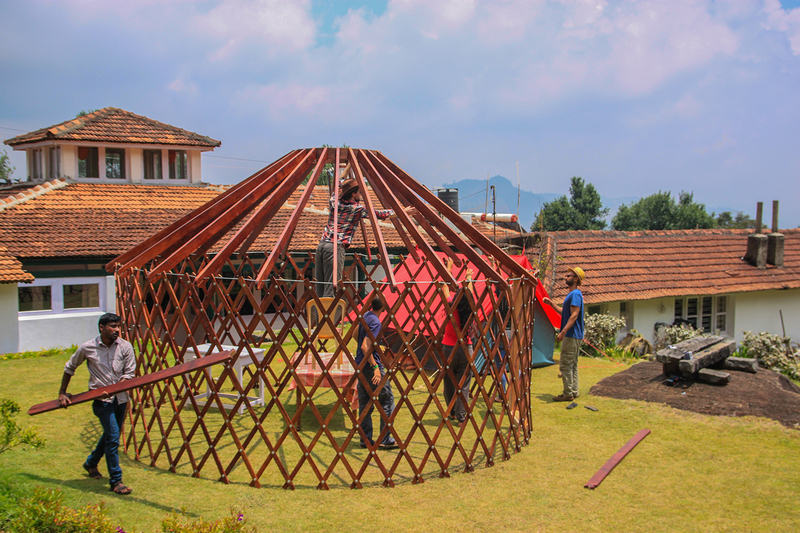 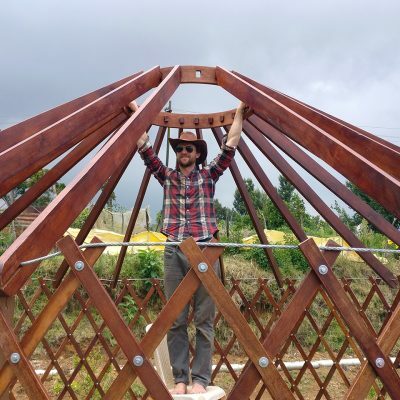 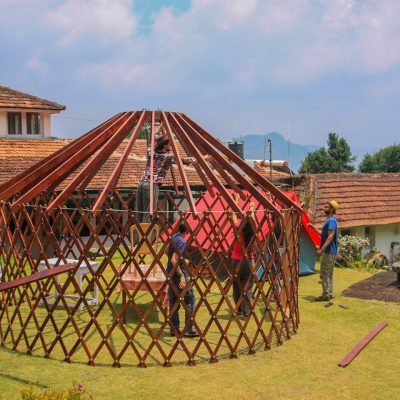 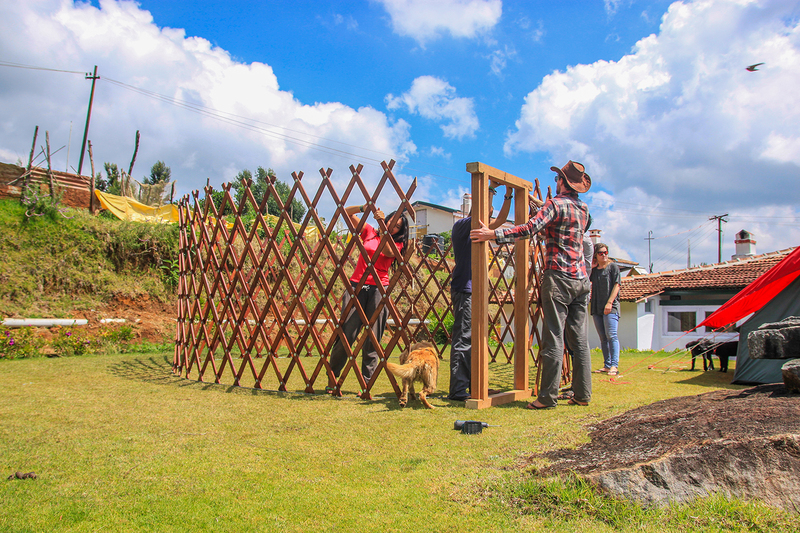 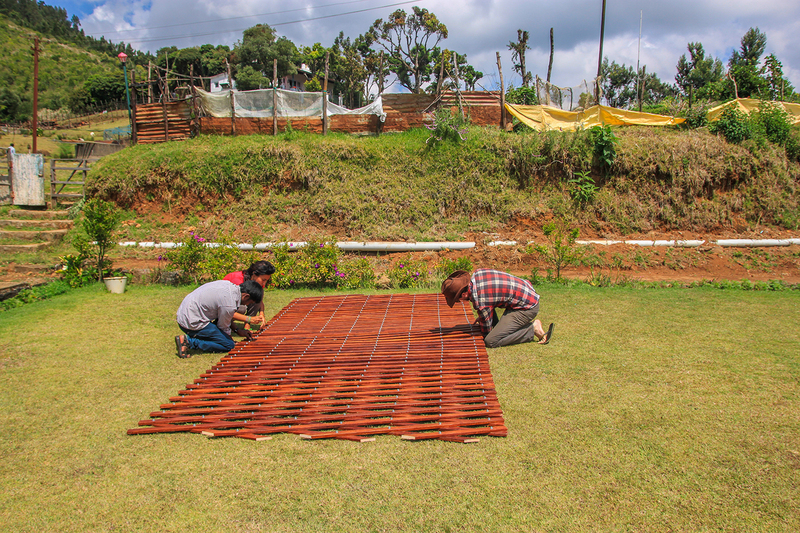 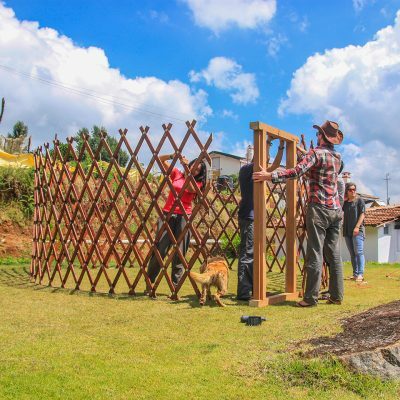 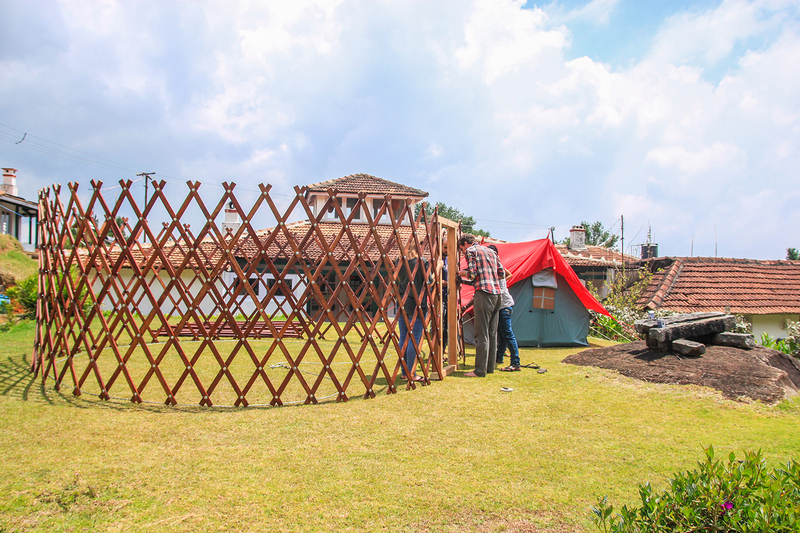 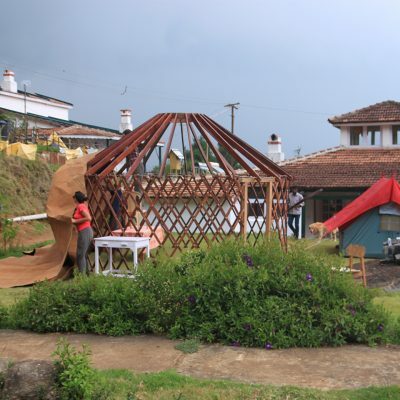 Our intensive weekend courses will teach you the basics of yurt construction, and if you have more time, you can even build an entire yurt from scratch, under the watchful guidance of Nathan and the Red Hills staff!